The Knot reported that friends spend about $80 and family members spend about $150. The rule of thumb is that your gift should replace your cost of attendance. Every venue or caterer has a cost per guest. If you know the location, it is a simple phone call to the venue to ask for average pricing per guest for weddings. If the venue does not provide food and a caterer is being used, you are not expected to ask the Bride who her caterer is so you can call. If you search for catering companies in the geographic area of the wedding, you should be able to get an idea for average costs per person. Rule of Thumb: The average cost of attendance for a wedding in the United Kingdom is £60/person. Therefore, your wedding gift should, on average, cost about £60. What if you bring a date? Sticking with the average cost of £60/person, now that there are two of you, does this mean that your gift has to equal £120? Not necessarily. We recommend that with the addition of one person, you contribute half of the cost of one guest plus the full cost of one guest. So if there are two people attending, the contribution from the couple should be about £90. What if you’re a family attending? The family rule is similar to the date rule with an exception. Still with the average cost of £60/person, we recommend that the wedding gift equals the cost of all adults, and half of the cost of children. So a family of four would contribute £120 for both adults, and £60 for both children totalling £180. What if you’re in the wedding party? You bought the dress or suit, went overboard on the bridal shower, and threw the bachelor/bachelorette party. Do you need to spend even more on a wedding gift? The answer is yes; but it doesn’t have to be as expensive as you might expect. It is perfectly acceptable for the bridesmaids and groomsmen to team up and all chip in for something for the newlyweds, for example, a couples massage on the honeymoon. Split between a wedding party this will be extremely affordable. But you just spent money on the flight, hotel, and tropical wardrobe… do these rules still apply? For destination weddings, the bride and groom usually specify that your ‘presence is the best present’. If this is not specified, they yes, you still need a gift, but it does not need to be of the same level as gifts for a local wedding. Something to contribute towards the honeymoon is always a good idea. £30 in a card that says “drinks on the beach are on us” is perfectly acceptable and thoughtful. 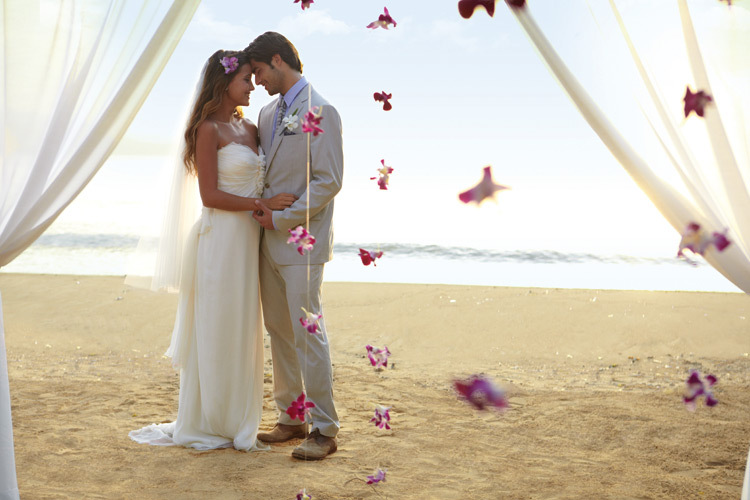 At Couples Resorts, consider a gift or Wedding Bliss Package to Oasis Spa. It will surely be a heavenly experience to enhance the bride’s and groom’s special day! No matter where the wedding is or how many people are attending, the bride and groom want you there to help celebrate their special day, not to give them another place setting. While these rules are here to help you, don’t spend outside of your means and make sure that you are giving joyfully!